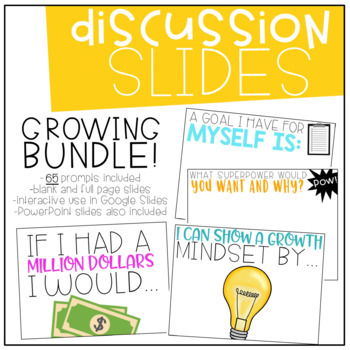 These discussion slides are the perfect classroom discussion starter! They can be used interactively on Google Slides/Google Classroom (for google classroom, add as an attachment to see all your student's responses at once!) . Have your students all answering the same question on their devices! They also come as full screen slides (Google and Powerpoint) to project for a quick ice breaker or discussion with your students. This is a GROWING pack. New slides will be added periodically and the price will increase. This resource currently has 65 discussion slides. What is the best job ever? In my family we like to..
A goal I have for myself is..
What superpower would you want and why? What are some ways you can be respectful? How can you help a classmate today? How will you meet your goal in math? How will you meet your goal in reading? How will you meet your goal in science? How will you make the world more awesome? If you could have any talent, what would it be? What is an act of kindness you have seen this week? If you could go back in time where would you go? "Be somebody that makes everybody feel like a somebody!" What does this quote mean to you? 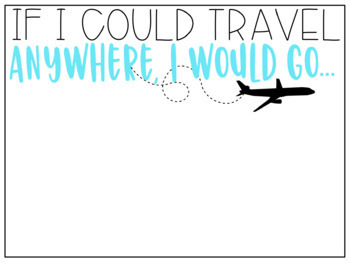 If you could have 1 wish what would it be? If you could meet anyone who would it be & why? What is one way you are making our classroom a better place? If you were invisible for a day what would you do? Which emoji best describes you today & why? What would you do without the internet? How do you show greatness? 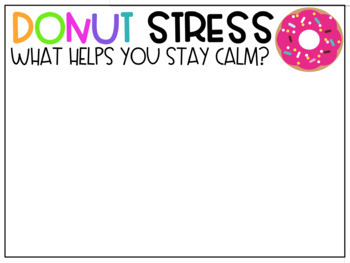 DONUT stress, what helps you stay calm? "Be a fruit loop in a world full of cheerios." What does this quote mean to you? What motivates you to do your best? 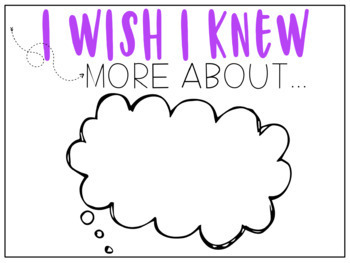 What is 1 thing we don't know about you? How do you spread kindness? How would you make 2019 great? Let me know if you have any questions!! See more digital products here!